Maria Casino releases new games regularly and offers a variety of popular games, as well as jackpot games with big winnings. 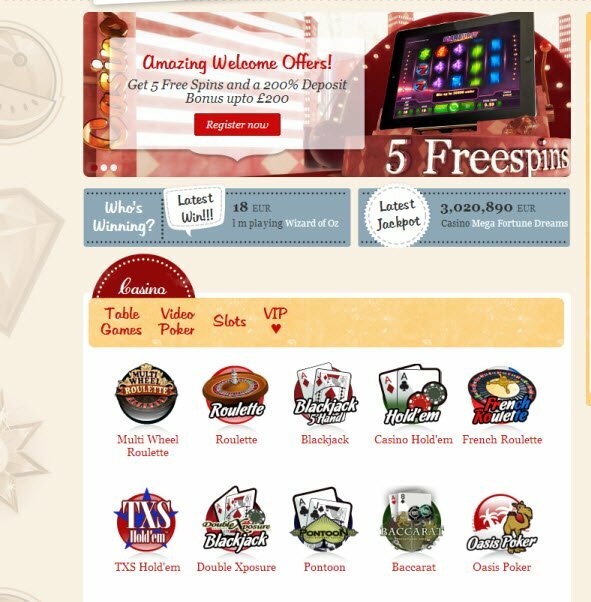 Due to the fact that Maria Casino has partnered with several software providers, there is a large variety and style of games to choose from. Maria Casinos strong focus on customer service ensures you are in safe hands at all times. Maria Casino was established in 2010 and is operated by Unibet International LTD which is a recognized and trusted brand within the online gaming industry. Maria Casino is also fully licensed by the LGA (Lottery and Gaming Authorities Malta), thus ensuring your security whilst playing online at this casino. Maria Casino offers a wide-range of gambling products, including casino games and slots. For beginners through to experienced players, individuals can easily play Maria Casino Jackpot slots and stand the chance of winning millions, or if they prefer they can take a spin on the roulette wheel or try their luck in a game of video poker. Individuals can play all Maria Casino slots, as well as other games in ‘fun mode’. This provides the player with the opportunity to get the feel of the game first. For real play one just needs to log in and play with real money in their wallet. You can play Maria Casino games instantly in your web browser, no software download is required. The only requirement is that you have the latest versions of Java and Macromedia flash in order to successfully enjoy all their games. Maria Casino software providers are some of the following: Ash Gaming software, Microgaming software, NetEntertainment gaming software, QuickSpin gaming software, Thunderkick gaming software and Williams Interactive gaming software, just to mention a few. The user friendly nature of the site is excellent. All games are clearly represented; the page is clean and effective. Maria Casino together with Unibet provides an excellent platform for online gaming. 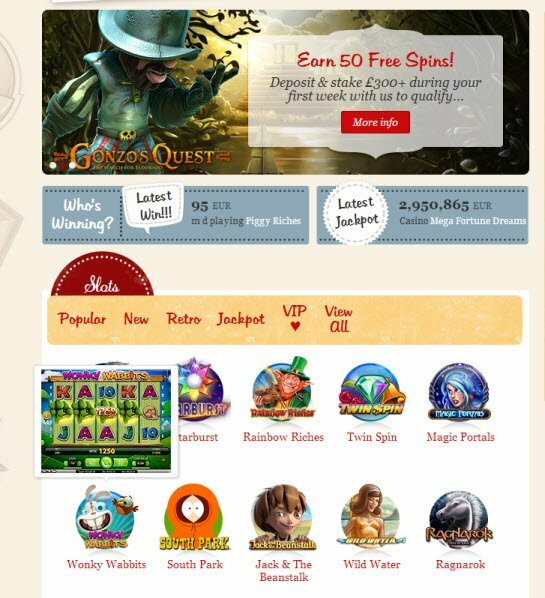 Some of the newest slot games to Maria Casino are; Lost Island, Sugar trail, Robotnik. Some of the most played games are; Starburst and Mythic Maiden, and a couple of games with the most attractive jackpots are; The Dark Knight and Arabian Nights. Click on the links to read more about these games. New players are invited to join with a generous Maria Casino welcome bonus, offering 5 free spins and a 200% deposit bonus up to £200. Weekly promotions are introduced, as well as additional promotions on new games - these promotions are sure to offer players exciting rewards. 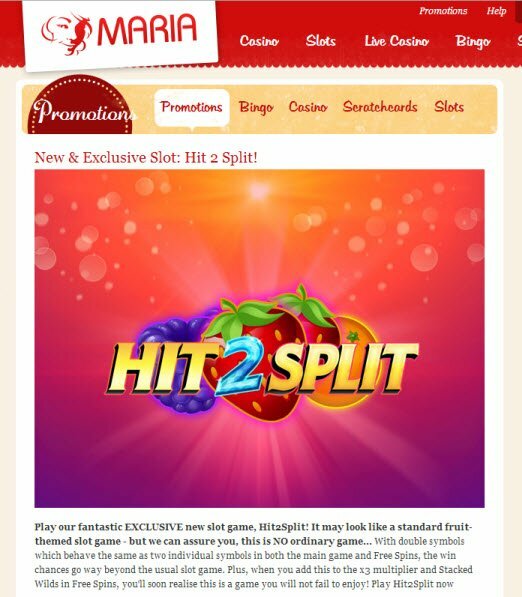 Maria Casino free spin promotions are regularly on offer, as well as various Casino Bonuses which are key features on certain games. Customer Service is a strong focus of Maria Casino, with this in mind they are always available to offer any assistance that might be required. There are various customer support avenues available, including email and phone support –these queries are responded to within 48 hours. There is also the option for live chat - on the right hand side of every page one can find a link to the live chat option. Looking for more female casinos? read our overview.